We learn from Quantum Mechanics that the observation of the microscopic world, the measurement (M) of a quantum object, i.e. a particle, inexorably modifies the physical system we wish to examine. What happens is that with the M it takes place a reduction of the state vectors, that is the ‘wave function collapse’ of the measured particle. Why does it happen? No one knows. The enigma of the so-called Measurement Paradox, in our opinion, could be solved if we considered that the light quantum(LQ), as suggested by the Principle of Equivalence Mass-Energy, carries out a dynamic-mass equivalent to its energy. The LQ is indispensable to carry out a M.
No M can be carried out without using the quantum of light. Calculus show that a photon of the optic band hits an electron with a momentum bigger than the mass of the electron itself. This may explain why the M induces the implosion of the quantum object observed, together with the collapse of its wave function, giving rise to the Measurement Paradox. Feynman R..P., “The Feynman Lectures on Physics”,©1965, California Institute of Technology, Volume 3: “Quantum Mechanics”; Zanichelli ed.,Bologna,Vol.3,1-13,14;16-7;21-1; (2001). de Broglie L., “Ondes et quanta”, Comtes Rendus, Vol.177, 507-510 (1923). Descartes R., “Dioptrique”, Adam-Tannery eds., Paris, 84 (1637). Newton I., Phylosophical Transactions of the Royal Society,Vol.7, 80, 3075-3087 (1672). Young T.,Phylosophical Transactions of the Royal Society, Vol.92,12-48 (1802). Cosmos , ? 2006 Seth Lloyd; Einaudi ed.,Torino,123 (2006). Schrödinger E., Annal. der Physik, 79, 361-376 (1926). University Press, New Jersey (1955). Behave like a Wave”, Progress in Electromagnetics Research, 58,199-222, 2006. Publ., London,2002; il Saggiatore ed.,Milano,293,261 (2005). Moskow, Russia, 348-352, August 19-23 (2012). Complete?”, Physical Review,48, 696-702 (1935). Prigogine I., “Le Leggi del Caos”, Laterza ed., Roma-Bari,61,59 (1993). Symposium, Suzhou, China, 27-30, Sept. 12-16 (2011). Cape 2002; Mondadori Ed.,Milano,293 (2003). Achenbach J., National Geographic, Italian edition, Milano,10,8 (2001). of Moderne Science”; Granta Publ.,London,2002;il Saggiatore ed.,Milano,119 (2005). Planck M., Verhandlungen der Deutschen Physikalischen Geseeshaff,Vol.2, 237 (1900). Planck M., Annalen der Physik,Vol.4,553 (1901). Einstein A., Jahrbuch der Radioaktivitat und Elektronik,Vol.4,443 (1907). Puccini A., “About the Zero Point Energy, Zero Point Mass, Zero Point Temperature and Zero Point Motion in the Subatomic World and Photonics”, Proceedings of Progress in Electro-magnetics Research Symposium, Suzhou, China, 1169-1171, Sept. 12-16 (2011). Puccini A., “The Equivalent Rest-mass of Photon”, Proceedings of Progress in Electro-magnetics Research Symposium,Session 2P2, Marrakesh, Morocco,723-725 Mar.20-23 (2011). Hawking, S., “A Brief History of Time”,?1988 by Stephen W. Hawking, Bantan Books ed. ; Rizzoli ed.,Milano,124-128,90 (1990). Puccini A., “About the Zero Mass of Photon”, Progress in Electromagnetics Research, Vol.55,117-146 (2005). Einstein A., Annalen der Physik,Vol.18 ,639-641 (1905). Klein E.,“Il etait sept fois la revolution”,2005 ed. Flammarion; Cortina ed.,Milano,64-65(2006). Heisemberg W., Zeitschrift fur Physik,Vol.43,172-198 (1927). Puccini A., “Uncertainty Principle and Electromagnetic Waves”, Journal of Electromagnetic Waves and Applications,Vol.19, No7, 885-890, 2005. Fermi E. “Argomenti pro e contro l’ipotesi dei quanti di luce”, Nuovo Cimento,3,201-206,1926. Weinberg S., “The First Three Minutes. A Modern View of the Origin of the Universe”,? by S.Weinberg; Mondadori Ed. (Milano),75 (1977). ; Il Saggiatore ed., Milano,304 (2004). Oppenheimer J.R. ,“Electron and Gravitation.1”,Phys.Rev.,1930,35,562 (1930). Peruzzi G., “Richard Feynman. QED: un po’ di storia”, LNF, 7 ottobre 2015. Adelphi ed., Milano, 158,156-160, 175,184-185 (1989). De Broglie M.L., “Notice sur les Travaux Scientifique”, Hermann&C.,Ed.,Paris,26 (1931). 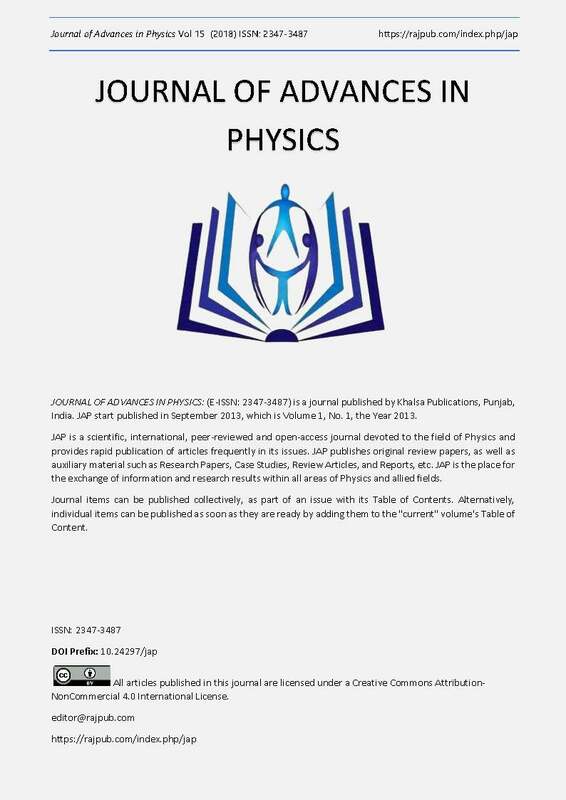 and Science Research, Volume 2, Issue 6, 43-46 (2018). Corcella G., “Il campo di Higgs”, INFN, Scienza Per Tutti, Gennaio (2017). Volume 14,Issue 3, 5865-5868 (2018). Passera M., “L’Infinito sotto il tappeto”, asimmetrie.it INFN Padova, aprile (2016). Nat’l Academics Press, The National Academy of Science, USA, “Nuclear Physics”111 (1986). Frova A. “La Fisica sotto il naso”, RCS ed.,Milano,131 (2001). magnetics Research Symposium, Marrakesh, Morocco, 726-728, Mar. 20-23 (2011).